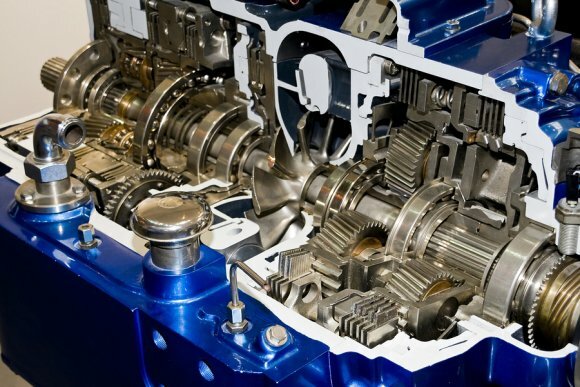 Your transmission is an integral part of the functioning of your vehicle, so it should be maintained with great care. If you notice any signs of transmission problems in the Washington D.C. area, it is a good idea to meet with your preferred transmission experts before your transmission completely fails. Watch this video for help in determining when a car needs a new transmission. There are a number of signs that suggest that you should seek transmission repair in the near-future. Slipping of gears or struggling when shifting to a new gear with an automatic transmission can be one of these signs. You should also keep an ear out for grinding or banging sounds coming from your car. Unfortunately, it is difficult to tell if these signs are indeed indicating that the transmission is bad, and the only way to know for sure is to meet with your transmission repair service. Taking care of your transmission is important if you want your vehicle to function properly in the long run. Fortunately, your car often notifies you of any transmission problems it may be having in a variety of ways. It is a good idea to seek auto transmission repair near Washington D.C. as soon as you notice any of these indications. Read on for a few signs that your transmission needs a fluid flush. One sign that you are having transmission issues is the hesitation or reluctance that your vehicle may exhibit before carrying out your commands. You may notice this if you put your car in gear and then experience a stall before the car begins to move. This type of sign typically indicates that your transmission fluid is contaminated and should be diagnosed and treated by a qualified transmission shop. Since your transmission fluid is critical to the proper functioning of your car, it is wise to take care of this issue before additional problems are created . Rarely will there be a time where strange noises do not indicate a problem with machinery. When it comes to your car, the presence of grinding or grunting noises warrants an immediate inspection of your transmission fluid; without turning the engine off, check the transmission fluid level in your car. If there is an appropriate level of fluid, check its color. Transmission fluid that is brown or black has likely been contaminated with sludge and grime and should be taken to a transmission shop for repairs. The symptom of strange noises coming from your car may also exist if your transmission fluid is clean but lacking in quantity. Your car needs power and pressure in order to properly stay in the appropriate gear and function in an optimal manner. If you do not have enough transmission fluid or the fluid that you do have is contaminated, your vehicle will have trouble maintaining the proper gear. This can impair your car’s maneuverability and lead to more severe problems with your cars mechanics in the future, so check your transmission fluid if you experience gear slipping. 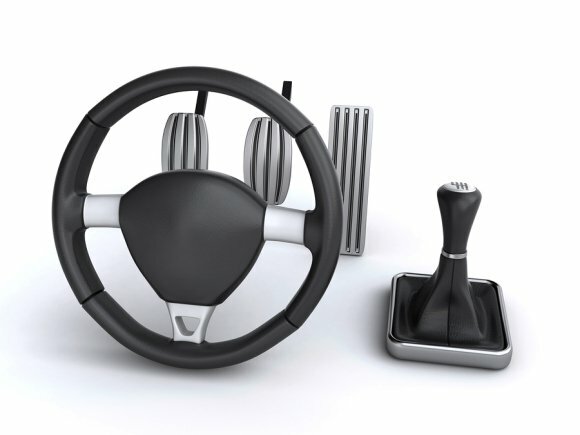 Your car is a complicated piece of machinery that relies on the communication between a multitude of different parts. One of these parts, called the clutch, is critical for both manual and automatic transmissions. If you experience issues with your clutch or any other transmission problems, it is important to seek a transmission repair shop near Washington D.C. as soon as possible. Read on if you are interested in learning a little bit about the clutch. Your engine must constantly spin in order for your car to move, but your wheels must be able to stop so that you can effectively maneuver the vehicle; the clutch allows both of these situations to occur simultaneously. By constantly disengaging and reengaging the transmission with the spinning engine, the clutch allows you to stop at red lights and stop signs and then seamlessly accelerate when appropriate. This system relies on friction, and the materials used in the system can wear down over time. This leads to transmission problems like slipping and stalling. If you are having any problems with your clutch or your transmission it is a good idea to talk to a transmission repair professional as soon as possible. If you are experiencing transmission problems in the Washington D.C. area, it is important to get your vehicle to a transmission repair shop as soon as possible in order to prevent further damage. The transmission repairs that professionals can provide may greatly extend the working life of your car. Here is a look at the signs that your transmission needs repair. Your transmission requires the use of transmission fluid in order to lubricate the system and keep everything running smoothly. This is why leaking of the transmission fluid can be very dangerous and should be remedied immediately . Pay attention when you enter or exit your driveway or garage. Look for any signs of leaked fluids on the ground; if you do see fluids, find out if they are coming from active leaks. You can do this by placing cardboard or similar materials on the ground where you park your car. Puddles of red or brown liquids may indicate that your transmission is leaking, at which point you should seek professional transmission services. Another sign that your transmission is not working to its potential is the slipping of gears. You may notice this when you find yourself driving in a different gear than you intended; not only might your vehicle feel different when it comes to maneuvering, but it also may give off a whining sound that indicates the slipping of gears. If you get the feeling that your vehicle is not getting enough power or you find it difficult to accelerate, talk to a transmission repair specialist so that you can have your transmission inspected for complications. One nice thing about your dashboard is that it will let you know if something is malfunctioning, struggling, or simply not working the way it should. However, the check engine light can be an indication of a range of different issues. If you notice leaks or slipping in addition to your check engine light being lit, it is always a good idea to head to a transmission shop. There they can find out exactly what your check engine light is trying to tell you and potentially save you from catastrophic consequences. If you would like to avoid frequent transmission problems in the D.C. metro area , it is important to provide the proper transmission tune ups on a regular basis. Make sure that your vehicle has the right type of transmission fluid and is maintained as necessary. Know when to take your vehicle to a qualified transmission repair or service shop. Keep reading to familiarize yourself with the steps of preserving your transmission. There is a wealth of different types of fluid available for purchase, and they all have differing qualities. Whether you drive an automatic transmission or a manual transmission vehicle, the type of fluid you use will impact factors like the amount of wear of your car’s components and the heat that is generated. Since the type of fluid used in your transmission affects the amount of pressure and heat that is generated, it plays an important role in the transmission’s lifespan. A transmission that is constantly running at too high of a temperature is likely to burn out more quickly than the same transmission that does not run as hot. Talk to your transmission repair shop to find out what kind of fluid is best for your vehicle. Like any other part of a vehicle, the longevity of your transmission is heavily influenced by the amount of maintenance it is offered. 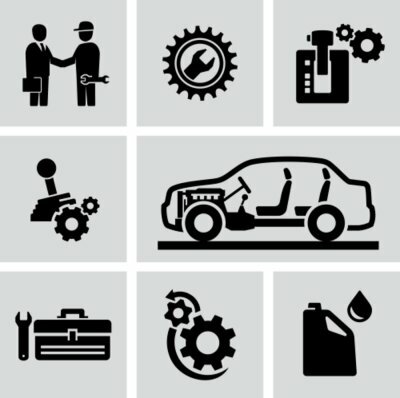 The manufacturer of your vehicle will offer a maintenance schedule that can help you to determine how often certain components of your car should be checked or replaced. If you live in a warmer climate, you may want to check on your transmission even more often than is recommended. When it comes to certain transmission services such as changing transmission fuel, it is best to leave the job to a professional transmission repair shop. Doing so can ensure that it is done properly and efficiently. Taking care of your transmission can help to reduce transmission problems. Make sure that you use the appropriate type of fluid and provide regular maintenance to prevent overheating. If you do run into transmission problems, take your vehicle to a professional. When it comes to transmission issues in the D.C. metro area , it is important to consider whether or not a rebuilt transmission would be preferable to a brand new one. There are many components to this transmission issue, including the quality of the transmission, the money you will owe, and the process that it takes to have the job done. 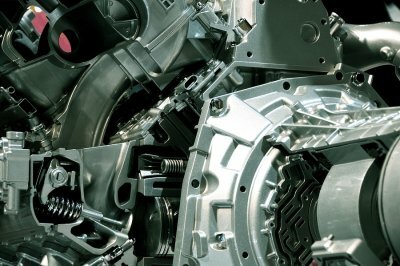 Keep reading if you need help in deciding whether to rebuild or replace your transmission. If you are already suffering from transmission problems, you will be looking to reduce the instances of these problems continuing in the future. The better the transmission you end up with, the less likely you are to find yourself back at the transmission repair shop again. When you replace your transmission with a brand new one, you are bolstering your car with the same transmission it had when it was brand new. This means that the new transmission should function efficiently without any problems. On the other hand, a rebuilt transmission can greatly vary in quality based on the transmission repair shop that performs the rebuild. If you are not familiar with the quality of the shop’s work, you may want to play it safe and go with a new transmission. The major upside to a rebuilt transmission is its significantly cheaper price tag than that of its brand new counterpart. You may end up paying triple the amount for a new transmission as you would for a rebuild. Additionally, rebuilds receive a warranty from the shop, while new transmissions are warrantied by the manufacturer. Another advantage to having your transmission rebuilt is the quickness with which you can return to driving. A transmission rebuild can usually be completed in about three days, whereas new transmissions may take more than double that time. A rebuild may be appropriate if you are in a hurry to get back on the road. If you trust your transmission repair shop and are looking for a quicker, cheaper option, you are likely better off with a transmission repair. If you are looking for insurance and quality, go with a transmission replacement. Vehicles are complicated pieces of machinery, so it helps to understand what you are dealing with if you have transmission issues. Recognizing transmission problems can help you determine when you should bring your car into the transmission repair shop. Watch this video to learn how to diagnose a slipping transmission in the D.C. metro area. This type of transmission problem typically occurs with automatic transmission vehicles. The clutch bands are responsible for transferring power from the vehicle’s engine to its wheels. Thus, transmission repair often begins with the bands. If the bands are loose or damaged, they may prevent the vehicle from accelerating or moving at all. This issue could also be due to a lack of transmission fluid. If you are wondering if it is time to take your car into the transmission service or repair shop, consider its ability to accelerate. If it fails to move at all, you may be experiencing a slipping transmission. If your vehicle is experiencing transmission problems, it is highly important to trust your repairs to a qualified and reputable transmission shop. At Superior Transmissions , we provide the D.C. Metro Area with the best transmission repair services. With more than 35 years in the transmission repair industry, we are fully qualified to provide you with a full range of transmission services. When you schedule an auto transmission repair appointment at our shop, we will make sure that you are totally satisfied with the quality of your repairs. 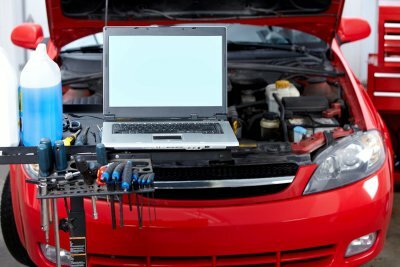 We use the latest diagnostic equipment during our transmission repairs, and we provide service to every make and model of vehicle. With our financing options, we can also help you pay for any major transmission services that your vehicle may require. Our transmission experts in the D.C. Metro Area are ready and waiting to restore your damaged transmission to its peak driving condition, so do not hesitate to contact us when you are in need of repairs.